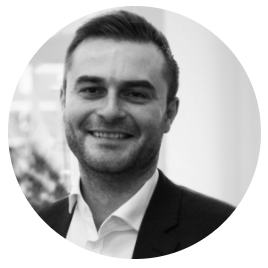 As a strategic sales specialist and innovator Mark has experience in catastrophe risk modelling. Between 2011-2016 he worked at RMS with the London, Lloyd’s and European insurance markets to help insurers develop more sophisticated risk models and adopt complex new technologies. His recent expertise also includes working with technology and insurtech startups, helping them to develop more powerful and compelling value propositions. In the current environment, the marine insurance market measures risk using standardised static rating factors - class, flag and tonnage of the vessel as well as the year it was built and yard it was built in. With limited additional data and an approach to risk analysis that has become widespread, companies are limited in their ability to innovate, leading to standardised product offerings, broad coverages and downward pressure on pricing. Interestingly the shipping industry is facing similar challenges. An increase in mega ships has increased capacity, leading to rate reductions and the entire industry has settled on a standardised approach with little scope for doing things differently. Furthermore, as an intermediated market, it is estimated that 28 parties are involved in a single shipping transaction. If the marine insurance industry is to prosper, these hurdles - rating factors, innovation and operating costs - need to be overcome. The potential of blockchain and digital placement technologies to compress and automate the current value chain is well known. However, as has been seen, this is only one part of the story. Unless companies invest to impact loss ratios and innovate to deal with market pressures, any reduction in the cost of doing business will only have limited impact. The answer, as has been seen in other lines of business, is data and analytics technology. As well as traditional information such as vessel type and age, there are now vast data sets covering the behavioural features of fleets and vessels e.g. what ports does it visit; where has it been; maintenance history, engine performance. With the right technology, it's now possible to combine these data sets with existing exposure and loss history, to identify new behavioural risk attributes that are a more accurate representation of underlying portfolio risk, than market rules of thumb. Individual insurers will get ahead of the competition if they adopt this new approach, but for real change to take effect, all actors in the insurance value chain, from broker, to insurer, to reinsurer, need to adopt this new way of working. Over the coming weeks, I’ll be sharing more about how we see marine insurance changing and specifically how technology can help insurers achieve the three points above. We’ll also be publishing a case study based on our work with one large marine insurer and the outcomes of this work. If you’d like to receive this straight to your inbox, you can subscribe to our mailing list here. Also, don’t hesitate to get in touch, via our website or connect with me on LinkedIn.